Cheesy Mango's: The Adventures of 5 Cheese Heads on a Mango Loving Island! About a family stepping out in faith and moving across the world from Wisconsin to the Philippines! Follow our journey from Cheese to Mangos!! Jeremiah 29:11a For I know the plans I have for you, declares the LORD. Proverbs 3:5-6 Trust in the Lord with all your heart and lean not on your own understanding. In all your ways acknowledge Him and he will direct your paths. For those of you who have not seen our video of our first 6 months yet, here it is. We (mostly Jake) had a lot of fun putting it together. It was really hard trying to narrow down the pictures but we think this highlights our time here so far pretty well. Enjoy!! Love to you all!! Summer is in full swing here in Cebu and we are having so much fun! 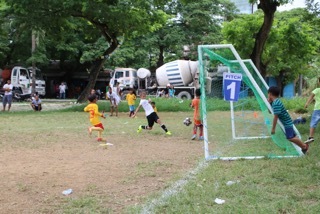 The boys picked soccer camp as their summer activity to do along side some of the kiddos at CSC. 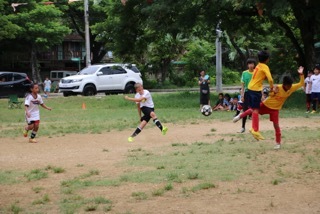 They have been having a great time learning new skills and keeping their feet on the ball. 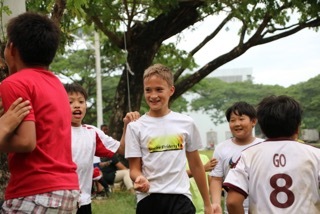 As a result of that, we met a coach who coaches a U11 soccer team and a U13 soccer team! Is that crazy or what!?! What are the chances that he coaches the same ages as our boys. 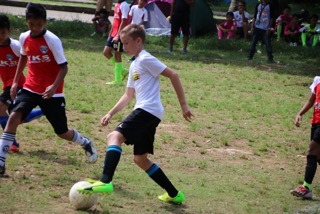 As a result of the camp they have been invited to play in some of his teams tournaments this month, one of them was on Mother's Day weekend. I tell you what. It was one of the funnest weekends we've had in awhile. I LOVE watching my kiddos do what they love. It brings me so much joy and happiness. 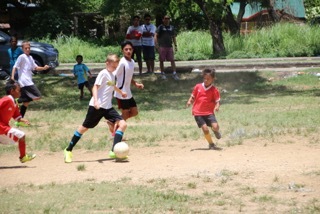 They made many friends and they played some good soccer with their new teammates too! 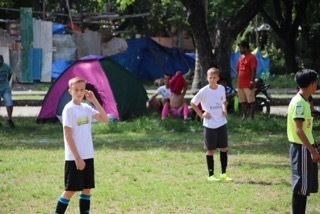 We had a great weekend of soccer and sun and we are looking forward to more :) It has been important to us and our kids to find relationships outside of CSC for many reasons and soccer has given us another opportunity to do just that and we are so grateful for another blessing of answered prayer. Thank you for your continued love, prayers, and support. We are enjoying our time here in Cebu and are reminded on a regular basis that God has us where he wants us at this time. God bless you all!! Hi There! We are the Schulz Family! We love Jesus, cheese, the outdoors, life, and everything life has to offer! We currently live in beautiful Door County but we are excited to be re-locating to Cebu City Philippines to work at an orphanage! Jake will be working at the Children's Shelter of Cebu, a shelter that has been providing homes to orphaned , abandoned, and surrendered children since 1979! We would LOVE your support both prayerfully and financially! If you do feel led to donate and support us you can visit www.cebushelter.org (be sure to put 'Jake Support' in the comments section) Thank you! Pam will be homeschooling the children and helping out wherever possible at the shelter as well. The kiddos will be catching plenty of lizards, playing lots of soccer, and soaking in plenty of sunshine! We hope you subscribe and follow our journey to the Philippines!